Azle Air Conditioning, Heating, & Electrical knows there are a lot on ac repair companies here in Azle. 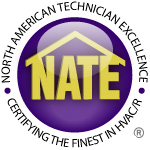 Our ac repair technicians in Azle are high trained and are all employees. We do not contract out work or use temporary workers. We would like to take this opportunity to let you know on why we are the best fit for your needs. 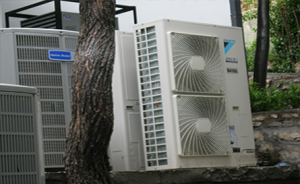 We have been the go to company for ac repair in Azle since 1968. That is over 44 years!! You can trust that we will stick around for many. Why is that important? We believe a service company should be excellent at a few things instead of trying to be just OK at a lot of things. Our focus is on residential AC repair and replacement and everything we do is focused on that. All our training and technology is geared towards air conditioning systems that we will find in a home. When it come to AC Repair in Azle, Tx, we hope that you will give us a call to schedule your service call with our highly trained technicians. We offer financing provided by Wells Fargo Financial National Bank with approved credit. There are many ways to finance your new air conditioning or heating unit. Even if you’re looking to go with a Geothermal unit, give us a call today to learn more about the financing options we offer!